We would like to thank you to everyone who attended The 70th Annual Congress of the Japan Society of Obstetrics and Gynecology. We look forward to seeing you next year. We are very pleased and honored to invite you to the 70th Anniversary Annual Congress of the Japan Society of Obstetrics and Gynecology (JSOG) in Sendai from 11th (Fri) to 13th (Sun) May in 2018. 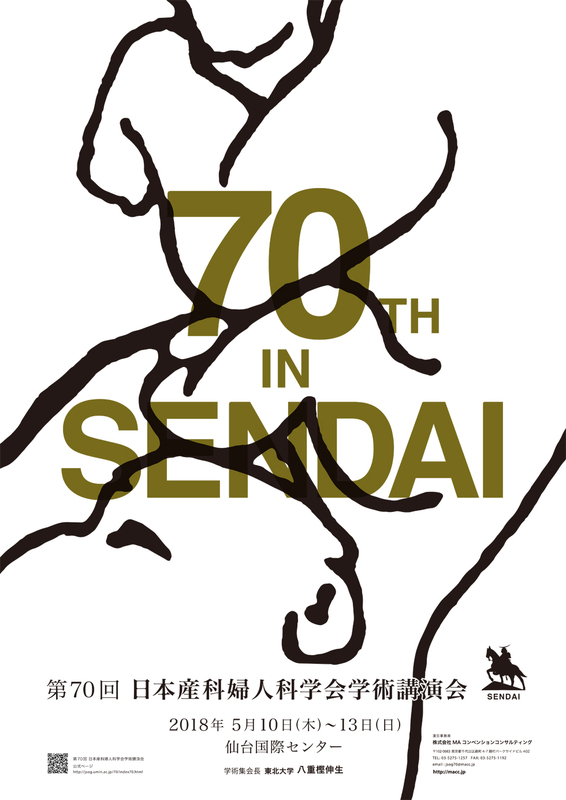 Please note; on the last day of the congress (Sunday, May 13), the Sendai International Half-marathon Race will be held in Sendai city.Hotel reservation for the night before (Saturday, May 12) can be difficult to make due to this.We recommend you to make your hotel reservation in good time. E-mail: gakujutu[at]jsog.or.jp ;please replace "at" with "@"
c/o MA Convention Consulting Inc.
E-mail: jsog70[at]macc.jp ;please replace "at" with "@"